Dionne Williamson is a native of Western New York. After graduating from high school, she enlisted into the United States Army Reserves, served eight years and earned the enlisted rank of Sergeant. During this time, she attended Medaille College and earned her Bachelor of Science Degree in Business Administration/Management. Dionne began her career in the Convention/Tourism industry, in 2004 and is currently the National Sales Director at Visit Buffalo Niagara. In her position, she handles the Corporate and National Association markets specializing in education, environmental, insurance, tourism industry events, multicultural and cultural/fine arts just to name a few. 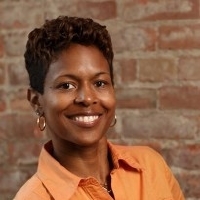 Dionne has received various community awards over the years such as being a Buffalo Black Achievers Award recipient, in 2017. She is also a Certified Diversity Meeting Professional (CDMP) and earned this certification through the International Association of Hispanic Meeting Professionals. To continue her vision of serving her community, Dionne is also the President/Founder of UPward Design For Life Corp., a non-profit organization that furnishes homes and transforms lives, for families in need, in Erie and Niagara Counties. Dionne is very proud of all her efforts which help assist with the economic development of Buffalo and Erie County.